Film Intuition: Jen's P.O.V. -- Misc. 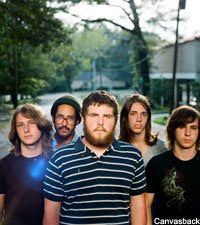 News, Articles & Interviews: Music News: Catch Spinner's Free Song Download of the Day: Manchester Orchestra's "I've Got Friends"
Music News: Catch Spinner's Free Song Download of the Day: Manchester Orchestra's "I've Got Friends"
Click Here to Download "I've Got Friends"
Today on Spinner, you can get a first taste of Manchester Orchestra's newest material which will be released on April 21's album Mean Everything To Nothing. Mean Everything To Nothing was produced by Joe Chiccarelli in conjunction with Dan Hannon and Manchester Orchestra. From Favorite Gentlemen / Canvasback Music.